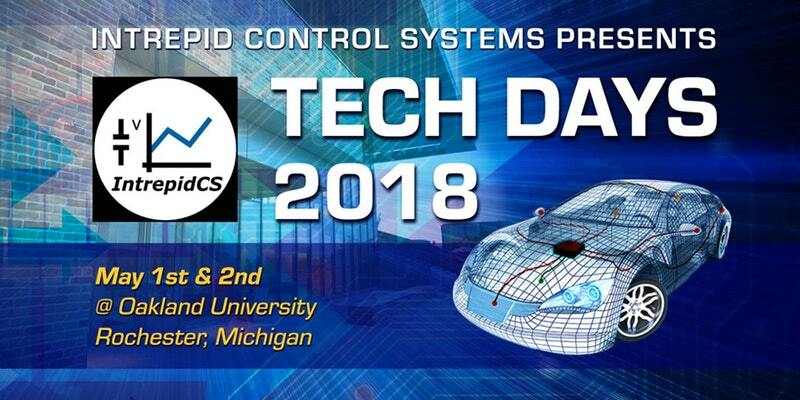 Intrepid Control Systems » Tech Days News Tech Days News | Intrepid Control Systems, Inc. Vehicle Spy Lab — New for 2018! Face-to-Face Consultations — New for 2018! Please use the links below to sign up for each day.